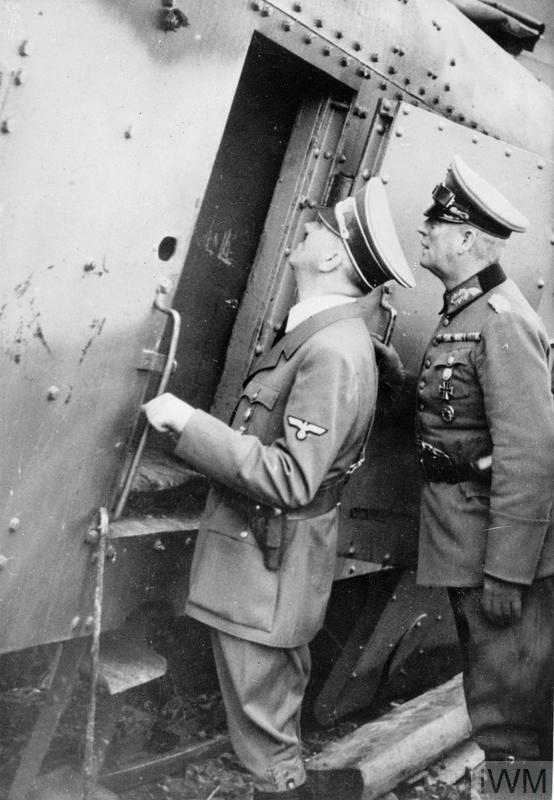 Hitler examines destroyed Polish Armoured Train No. 13 "General Sosnkowski" at the town of Łochów, with General Wilhelm Keitel, the Chief of Staff of the OKW (Oberkommando der Wehrmacht), 25 September 1939. The armoured train was seriously damaged by the Luftwaffe on 10 September while covering the retreat of the "Modlin" Army.